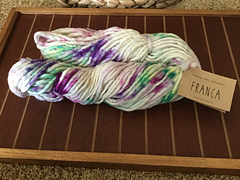 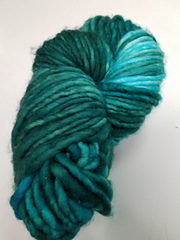 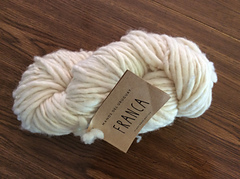 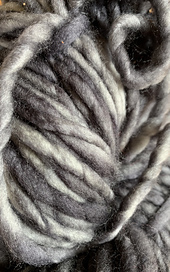 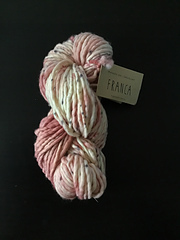 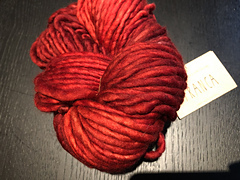 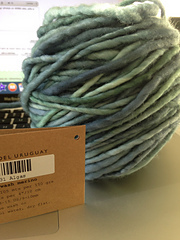 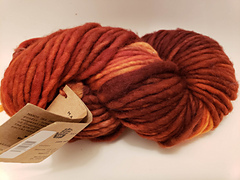 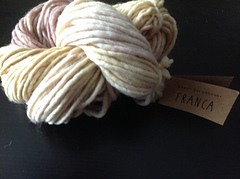 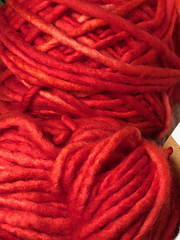 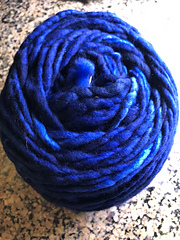 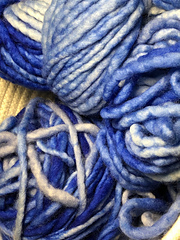 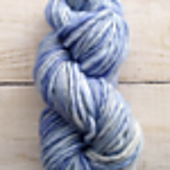 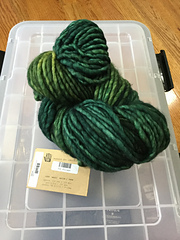 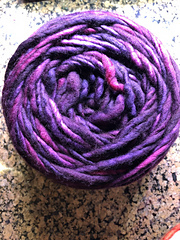 Franca is a fun single ply yarn of 100% incredibly soft merino superwash. 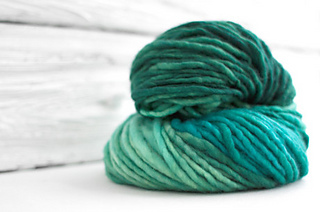 It is super chunky yet light, perfect for accessories full of personality. 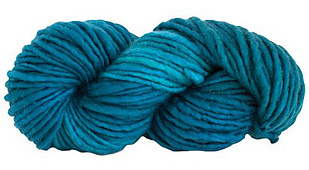 Machinewash or handwash in cool water, dry flat.